A man who claimed he was struck by a car when he was a primary school boy more than 50 years ago in an accident which he could not remember and of which there was almost no evidence has had has claim for £650,000 in damages against a Scottish local authority dismissed. A judge in the Court of Session ruled that the pursuer had failed to make a relevant case that the defender had breached its duty of care, and that in any event the action was “time-barred”. 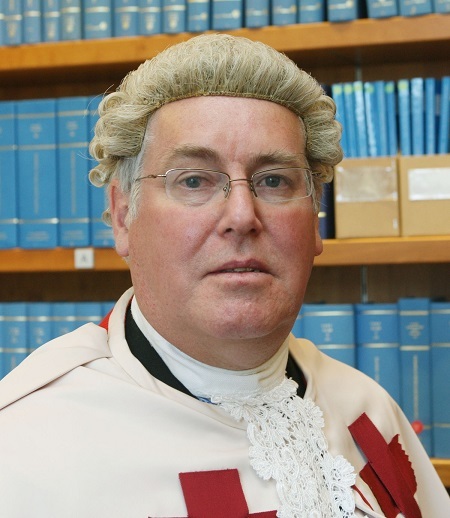 Lord Tyre heard that the pursuer Bill Grace, 59, claimed that on about 19 May 1965, when he was five years old and a pupil at Sciennes Primary School in Edinburgh, he suffered serious injury when he ran out through the school gates and was struck by a motor vehicle. The pursuer, who had no recollection of the incident and said he only became aware of what happened in 1994 as relatives had previously “hid” it from him, said he sustained head injuries that had “life-changing” adverse effects on his personality. He sued the City of Edinburgh Council for £650,000, claiming that the accident was caused by the fault of the defender’s employees, the staff of the school, who allowed children to play in the playground unsupervised and failed to keep the school gates closed. The present action was raised in 1997 in Edinburgh Sheriff Court and after being sisted the case was remitted to the Court of Session in 2007. Nothing then happened in the court proceedings for a further ten years when, in June 2017, a draft minute of amendment was intimated to the defender, which included averments addressing the issue of whether the court should exercise its discretion in terms of section 19A of the Prescription and Limitation (Scotland) Act 1973 to allow the action to proceed. The motion, which was heard in February 2018, was opposed by the defender on the ground that the action was time-barred. The judge refused the motion, having held that it would not be equitable nor in the interests of justice to allow the action to proceed. At the hearing last year the pursuer’s legal representatives had accepted that if the judge refused to allow the minute of amendment then the action would be dismissed, but the pursuer - who was now representing himself - did not accept that his case should be dismissed. The case called again for a debate on the issues of whether the pursuer had made a relevant case of breach of duty against the defender; and, if so, whether he had pled a relevant case that he could not reasonably have become aware of the accident until a date less than three years before the action was raised in May 1997. The pursuer claimed that the staff of the school were under a “duty to take reasonable care” to supervise all the children in the playground, to ensure that all the children were kept within the school grounds and not allowed to leave the playground, and to ensure that the school gates were kept closed and that the children were kept away from a busy road, that they breached those duties and thus caused the accident. With regard to loss and damage, the pursuer averred that as a direct result of a brain injury sustained in the accident, he suffered a “personality disorder” and developed into a delinquent, manifested initially by telling lies, stealing and setting fire to a car. By 1994 he accumulated many criminal convictions and spent a total of 22 years in detention or imprisonment after attaining the age of 16. His position on time-bar was that he had no recollection of the accident itself and that he was not told about it until about 1994 when, after he had been released from his last prison sentence, he started investigating his past and a relative told him what had occurred. He said he wished to have an opportunity of proving that the accident had occurred as described and that it had “caused all his subsequent problems”. On behalf of the defender, it was submitted that the pursuer had failed to plead a relevant case of breach of duty on the part of the staff of the school, having failed to show they did not do something that was commonly done by staff at other primary schools in Edinburgh in 1965; or that they failed to do something that was so obviously wanted that it would be folly for anyone to neglect to provide it. It was also argued that, in any event, the pursuer had failed to give “fair notice” of the case against the defender - it was impossible for the council to investigate the claim against it. The defender further submitted that the action was time-barred in terms of section 17 of the 1973 Act, and that the defender failed to give a clear and cogent explanation as to why proceedings were not brought before his 21st birthday on 9 September 1980. The judge dismissed the action after ruling that the purser had failed to plead a relevant case. In a written opinion, Lord Tyre said: “In my opinion the facts and circumstances that the pursuer has been able to plead are insufficient in law to found a case of fault on the part of the defender. I do not say this as a criticism of the pursuer; it is merely a reflection of the difficulties faced when attempting to plead circumstances that occurred more than 50 years ago, and which were not even investigated until almost 30 years after they are said to have happened. “The critical difficulty faced by the pursuer, as I see it, is that the mere fact that he was able to run out through the school gates on to the road is not in itself enough to establish negligence on the part of the defender’s employees, ie the school staff. In order to set out a relevant case of fault, the pursuer would require more. The judge also held that, in any event, the action was time-barred, as the case as currently pled was “insufficient” to found a case that the commencement of the three-year period for bringing an action of damages was postponed until 1994. He added: “It is not averred, and has never been suggested, that the pursuer, at any time after attaining the age of 18, lacked full legal capacity. In these circumstances there is nothing pled that would entitle the court to hold that it was not reasonably practicable until 1994 for the pursuer to become aware that his personality disorder was attributable to an act or omission for which the defender was liable.